Bot War is a 8mm (z scale) skirmish game set in the mid 1980s. Human, Merman, Monster, Alien and Bot factions battle it out for supremacy of the earth. There are currently over 100 models available spanning 7 different factions with 2 more factions on the way! Models range in height from 8mm right up to 120mm. The game itself is easy to pick up and play but difficult to master requiring careful resource planning and clever tactical execution. 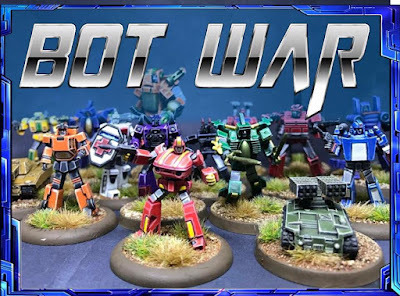 Check out Bot War today!